Helen M. Luke (1904-1995) was born in England. In midlife, she studied at the Jung Institute in Zurich, then moved to the U.S. and established an analytical practice with Robert Johnson in Los Angeles. In 1962, she founded the Apple Farm Community in Three Rivers, Michigan, "a center for people seeking to discover and appropriate the transforming power of symbols in their lives." 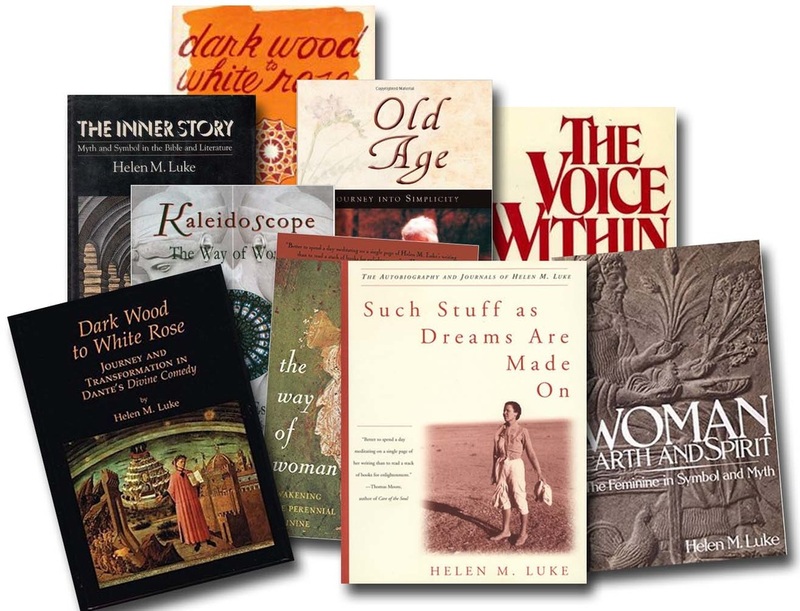 In her later years, Helen Luke was the model wise woman for many people. Her final book, Such Stuff as Dreams Are Made on, a memoir and excerpts from her fifty-four volumes of journals, was published posthumously. Her books include The Laughter at the Heart of Things, a collection of essays, and The Way of Woman: Awakening the Perennial Feminine.